No ordinary common subject by any means, this remarkable PSA NM/MT 8 Frank DeMaree gem joins five other examples at this elevated plateau with only a sole specimen assessed higher! 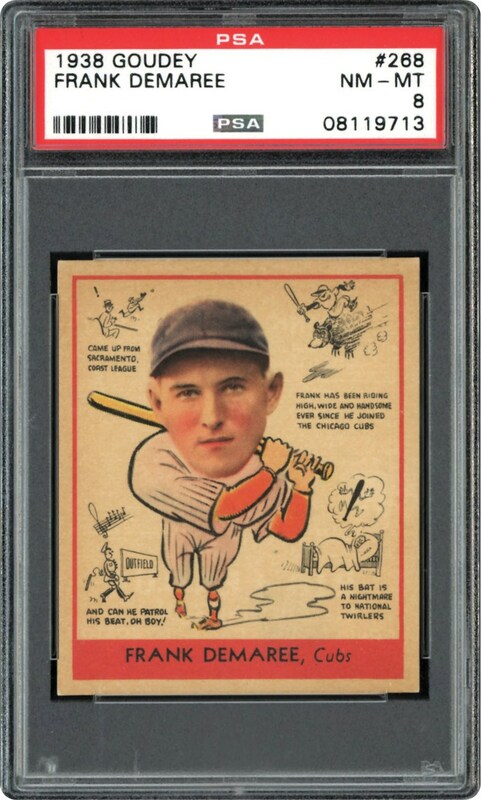 The Chicago Cubs outfielder seldom looked better than in his breathtaking representation on this "scarce for the grade" offering that includes a well-positioned bold red frame and crystal clear DeMaree batting pose. A razor-sharp perimeter and super clean surfaces are additional superlatives justifying the highly coveted grade that merits serious consideration from the most sophisticated hobbyist!